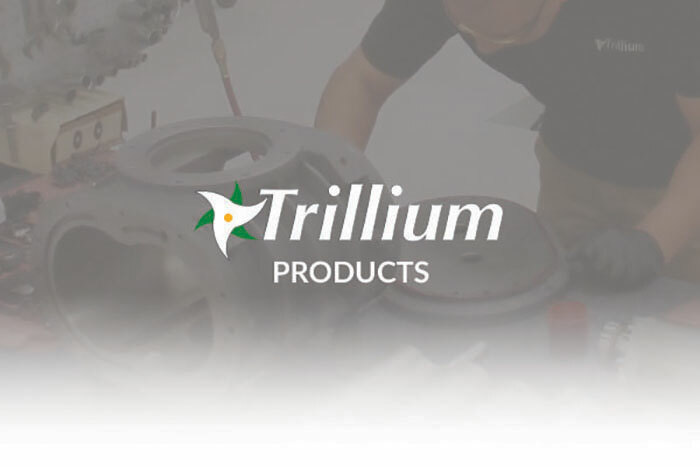 Trillium’s TDS150Xi Dry Screw Pump is an excellent choice for vacuum drying, environmental test, vacuum coating and other high vacuum applications. The TDS150Xi features superior pump down time and outstanding stand-alone ultimate pressure. 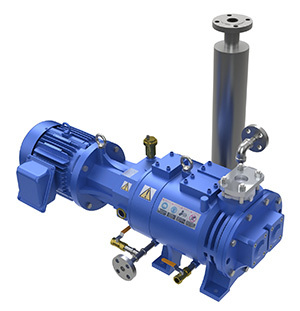 Utilizing an efficient cooling system design (integral heat exchanger mechanism), the TDS150Xi offers lower discharge gas temperature than competitor pumps. They also offer superior water vapor and liquid handling as well as outstanding solid handling capability by means of special hold-up free discharge design. Using variable pitch screws, the TDS150Xi pump is 50% more energy efficient versus conventional designs and have lower vibration. 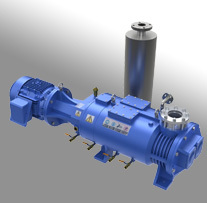 The TDS150Xi pump requires minimal maintenance by utilizing solvent flushing and air/nitrogen purge as necessary during uptime and post process to minimize risk of blockage by solid and condensation, which enables longer life and time between repairs.